If you are considering selling your home, the first feature potential home buyers will see is the exterior of the home and the landscaping. 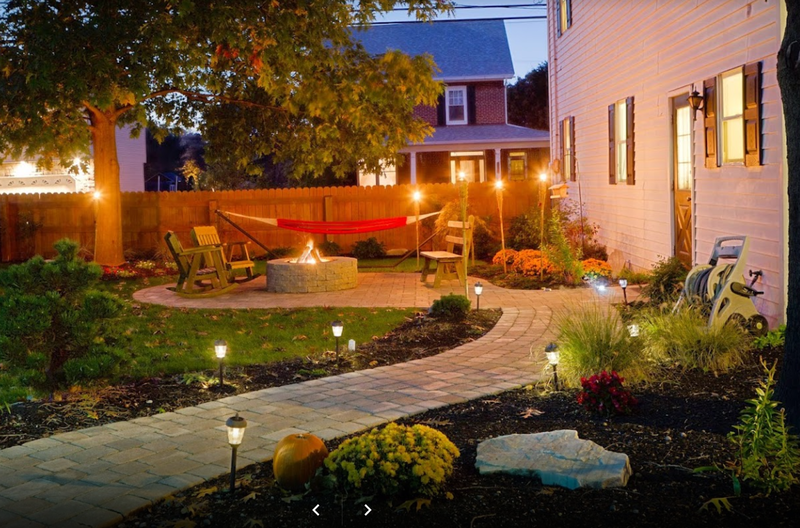 What is your home’s landscape design telling people? Does it say “here is a well cared for home with tidy garden beds and neatly trimmed bushes”? Or are the overgrown hedges and bare patches in the lawn screaming “stay away, the current owner simply doesn’t care!”. Most studies show that landscaping can add as much as 12-15 percent to the value of your home. If you have the basics down, like a well maintained lawn and garden beds with fresh mulch and thoughtfully arranged flowers and shrubs, that’s a great start. Depending on your neighborhood though, a patio, deck, fire pit, outdoor kitchen area or other hardscaping features can really make a difference when selling your home. The challenge is choosing landscaping improvements that will be what prospective buyers are looking for. If the feature you’ve added to your exterior landscape design is a sought-after home feature, the value of your home is guaranteed to rise. There are many DIY landscaping projects you can do yourself like aerating, over-seeding, and fertilizing your lawn along with keeping it mowed throughout the growing season. Planting annual flowering plants each Spring in the garden beds and adding fresh mulch is something anyone with a bit of a green thumb can handle. But, when you’re looking to completely change the current layout of your home’s landscape or add an outdoor hardscape feature, it’s best to find a professional who can help you create a design tailored to your specific home and neighborhood. Like any other home improvement you make, your home’s landscaping and hardscaping is a major investment. A professional landscaper will help you make the best choices for this investment, and will also likely know what outdoor features are currently trending with home buyers. Get at least 3 quotes from qualified local professionals when undertaking a major landscape or hardscape project for your home. This will help you identify the cost and also the potential return on your investment when it comes time to sell your home. Finally, don’t make all your landscaping decisions around the re-sale value of your home. Your home should be personal. Enjoy your home’s landscaping and the features that are unique to your home’s outdoor areas. If you live in the Lancaster, Berks, Chester or Lebanon County areas of southeastern PA, call us at (717) 315-5347. We’d love to help you with your next exterior landscaping project!